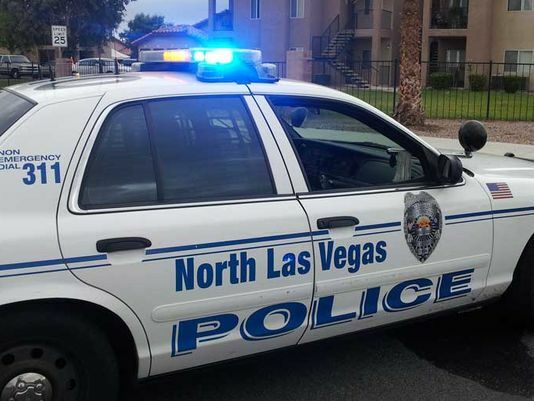 Just over a year ago, in March of 2014, Officer Raymond Lopez of the North Las Vegas Police Department saw a homeless man near an abandoned home. Thinking he was either squatting in or scavenging from the vacant house, Lopez approached David Robinson and about a minute later shot him three times in the head and once in the shoulder, killing him. Although a knife was later (conveniently) found in Robinson’s back pocket, it obviously wasn’t in his hand, nor was he armed in any other way. In addition, no claim of physical resistance by Robinson was ever made, even by Lopez. His only claim to justify the shooting was that he saw “the glint of a blade.” This is fairly reminiscent of the claim by Jacquar Roston, of the LVMPD, that he shot an unarmed man because a shiny spot on his hat looked like a gun. 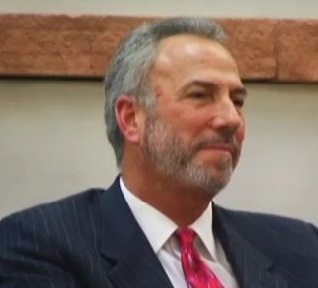 In what is a rather unsurprising outcome for murders involving Las Vegas area police, given their track record of having never charged a single cop in the entire 100+ year history of the city for shooting someone, Clark County District Attorney Steve Wolfson has just announced that Lopez’s action that day “cannot be deemed criminal.” And although even Wolfson can’t work up the nerve to claim this shooting was justified, he falls back on an excuse that there is a lack of evidence, based on the fact that the only (surviving) witness was Officer Lopez, in order to keep that perfect record intact. Not only did Lopez make sure he left no witnesses, but as is typically the case, he got a little help from his friends. The Force Science Institute, an independent research group brought in to analyze the case, stated that police “investigators” had asked Lopez incomplete questions. Going through the motions of doing an interview (or purposely steering interviewees away from important details that don’t fit the established narrative) is a known tactic police use to avoid scrutiny when cops are involved in a questionable shooting. It’s not anything that Las Vegas area police investigators haven’t already resorted to in previous officer involved shootings, either. FSI recommended that Lopez be re-interviewed in order to attain more comprehensive answers as to what happened that day. Instead, Lopez refused to submit to any further interviews and then quit in January as a result of the bad publicity from the case. Due to the lack of evidence, the district attorney’s office couldn’t disprove Lopez’s version of events, and were “unable to prove that the actions of Officer Lopez were in fact unjustified,” the report said. As everyone knows, not every murder has a witness, not every crime has a “smoking gun” that by itself proves guilt or innocence. That’s generally determined by having the person(s) and crime scene involved investigated thoroughly for whatever evidence there is available and having them face tough and impartial questioning about any inconsistencies that might be uncovered in the process. However, in the case of police officers they find themselves being questioned by friendly co-workers, given time to get their story together, and not having any of those inconsistencies questioned. Much like with the beginnings of the aftermath of the Walter Scott shooting, any story that is presented by an officer to justify the shooting is readily accepted. Unless, of course, some video suddenly surfaces to contradict that and there’s no opportunity for the police to make that video disappear, like in the case of Erik (no relation to Walter) Scott. 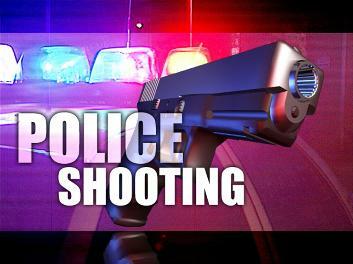 If anyone else was involved in shooting someone, they would be questioned about why they felt the need to point a gun at someone who wasn’t physically resisting in the first place and why they felt a need to fire that gun when the person’s only weapon was tucked away in their pocket and they could easily unload their gun (that was already out and aimed at the person) long before the person could ever pull the knife out and prepare to use it, even if they decided to do so. Perhaps that person would have good answers for those questions, but it’s kinda important to ask those questions when, “making sure that we provide a thorough and accurate analysis in every officer involved shooting is our priority,” as Wolfson would have people believe. Most people would be arrested if they were involved in a deadly shooting and they certainly wouldn’t be allowed to just quit their job and walk away from the investigation with no further questions asked. However, this is the typical M.O. of police departments nationwide when “investigating” their own and it’s a particular specialty of Las Vegas area police and the Clark County District Attorney’s Office. This type of toothless investigation is something Las Vegas residents have come to expect from both those entities. And this isn’t the first time that a local cop has been allowed to kill homeless people with no questions asked. In fact, pretty much the exact same scenario played out just about exactly 20 years ago. Between 1994 and 1996, LVMPD Officer Greg Pease killed three homeless men under incredibly questionable circumstances. In each case, Pease reported he was investigating a potential burglary, claimed he acted in self defense after being attacked with a knife, and also just like Lopez the only other witness ended up dead. There is also one more similarity between the two. In each case, Pease’s actions were ruled justified, even though in the third instance he had the name of the man who “ambushed” him written on a notepad in his car prior to the incident. It took getting caught using a LVMPD fuel card to fill his personal vehicle up for Pease to finally get forced into resigning. So, perhaps in that respect they’ve progressed a slight bit by forcing Lopez out after his first unjustifiable killing. Police departments in Las Vegas have a long and, at this point, unbroken record of looking the other way when their officers act inappropriately, up to and including those that murder. This case won’t and shouldn’t give anyone much hope that this policy will change anytime soon. Just what we need, more violence. People like you want to make the situation worse, not better. If cops all across this nation started being murdered, the first thing they would do is not allow any cop watching for dfficers safety. That would be the start of a true forfeiture of our rights. Think before you speak. More exposure. This is why it is vital to photograph/tape officers in their line of duty. This is really a two prong attack. First, just having them on camera forces some cops to behave legally and secondly, the public gets to see the corruption first hand. There is a lot more public scrutiny today compared to just a year ago. When public opinion hits a breaking point, hopefully Police Departments will start to change its culture and the way they train their officers. The police state we are in today will look like child’s play compared to the police state that will exist if cops start being murdered. We have to remove District Attorneys as well. They all cover for the police because they in the same messy bed together. 1 – all pigs must wear cameras and microphones at all times, 2 – any and all “technical difficulties” leading to loss of video or audio be considered a full sworn admission of guilt and culpability by the pig, 3 – penalty for pigs actions be nothing less than the most severe penalty for their crime, 4 – all law suit damages for the pigs crime come out of the pigs pocket (if pig doesn’t have enough cash then all the pigs possessions and any/all future earnings go to pay off the pigs debt to society), 5 – when pig is arrested for crime no paid vacation, no benefits, no free vacation – pig is suspended without pay, without benefits and all cash, possessions, etc are immediately placed in escrow. does anyone doubt such actions would significantly cut down on pig crime?